One of the best ways to do our bit for the environment is save energy in the home. We all forget to turn off lights, or turn down the heating when the room is more than comfortable already and these are habits we all strive to improve, aside from the energy it saves money. In this article I look at how we can save energy, night and day, and the best bit is we do not need to do anything after the initial steps! The improvements I’d like us to look at will save around the clock once implemented! It’s pretty easy so lets get started saving energy through your sash windows and doors with London Sash Window Repairs Ltd.
We will look at a sash window energy saving first in this article. We need to decide on wether or not we open a particular sash window in our home that much. If we have a bay window of three, how about we close the two side windows up entirely? It’s a brilliant start to saving energy. 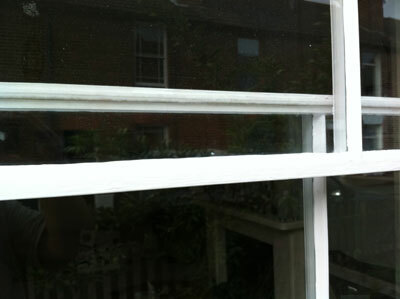 If we seal a window shut then no draughts can pass whatsoever and far more effective than any draught proofing system. It is actually the most effective sash window draught proofing system out there. It’s a little known fact that single glazing is actually quite good at keeping the heat in. If we are to combine draught proofing with some nice looking heavy curtains we have a very well insulated window. The energy saved from sealing a window entirely shut would be as much as £50 per year depending on the size of your room, size of window, how draughty the sash window was before sealing, and other insulating properties within the room just as loft and wall. If you’d like to know more about the numbers this comprehensive article that looks into the true pay back and cost savings of sash window draught proofing and covers that in far greater detail. If sealing shut all gaps with silicone is far too permanent then a medium term solution is cling film. If you roll cling film like a pancake and then push it into all joints it will do almost the same job as silicone, however the removal is very easy if you feel you need to use the window again, you would simply take a knife and prize out the cling film where no longer required. This method will also stop annoying rattles as well as dust ingress. Because all clingfilm is pushed behind the joints and meeting points of the sash window, this method leaves your window looking exactly the same. No one would ever know your quick fix that cost pence has vastly improved the comfort of your room. This is definitely a great tip for winter as we are far less likely to open our windows in these months. Talking of winter, if you feel there are occasions you might like to use your windows and you are looking for a temporary solution then you might like to try low tack masking tape. Simply cover all joints using masking tape and you will create a seal that locks hot air in and cold air out. The benefit of using masking tape over cling film is that removal and replacement can be achieved in minutes should you like to use your sash windows again. The speed factor over cling film makes this the best quick fix with a balance of still being able to open your sash windows if you need to. 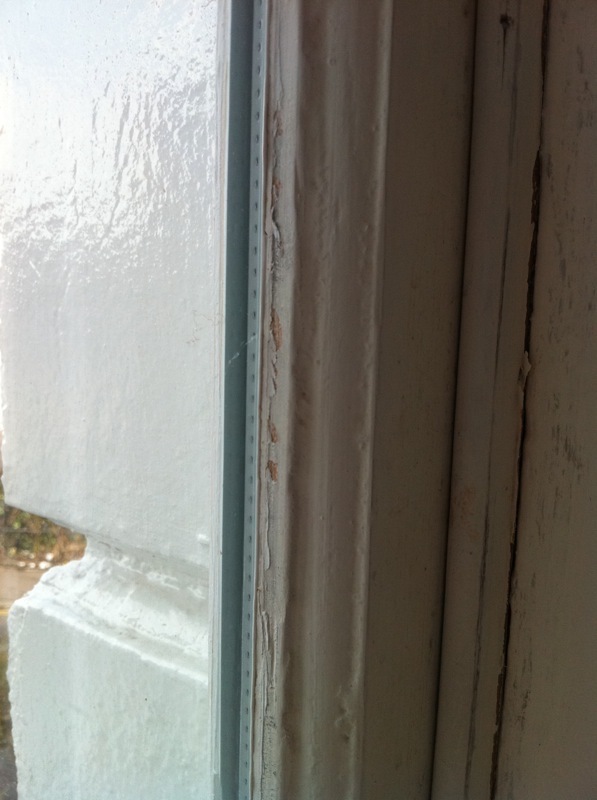 There is some issues and drawbacks, of course such as we can see the masking tape which looks unsightly and if a window has been freshly decorated then it would not be an ideal solution as the low tack could still pull away at new paint – by allowing masking tape to bond for long periods of time, even low tack, the sticky surface will pass to the joinery and on removal there can be quite the cleanup job. It’s important to check this is not occurring to avoid any unnecessary wasted time cleaning. If the idea of sealing your windows shut or surface mounting masking tape is not appealing then there are some more professional draught proofing options available before considering entire replacement of your sash windows. We would never advise complete replacement in any situation as the damage to the environment will normally outweigh the good that comes from energy savings of a high tech window. If the installation is UPVC then it will almost certainly be heading to a landfill somewhere in the next ten to twenty years and that defeats the whole point of this sash window energy saving article so we won’t go there either. Many of us do not wish to seal our windows permanently shut, and if it’s a window we might use then it’s entirely understandable you might look for a more professional draught proofing solution. While costly a professional sash window draught proofing system offers clear payback and is extremely environmentally friendly. We would always recommend this service as it offers the potential to increase the value of your property as well. You’ll also need a comprehensive sash window decoration service afterwards, or if your inclined, we can carry out decoration whilst we draught proof your sash windows. A professional draught proofing system should be rebated, and hidden within the frame allowing opportunity for the homeowner to enjoy the aesthetics of an original sash window while benefitting from modern technology upgrades. Draught seals come with a five year guarantee and windows are left fully functioning as well as draught proof. An alternative to just draught proofing which is more costly, however significantly better at heat retention, is to double glaze the existing sash windows. I would never recommend entire replacement for energy saving as the more of the window that is replaced, the more energy that is consumed creating the energy efficient home. 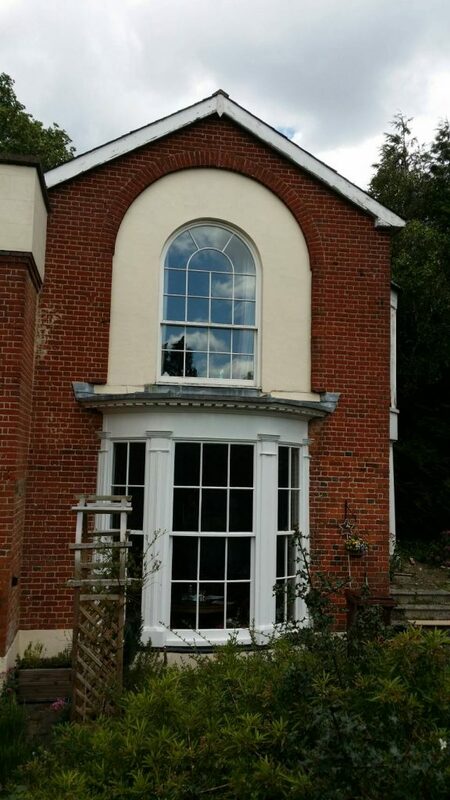 In the event your sash windows are thin you can still have double glazing, or if you have sash windows in a listed building we can still help. It’s quite possible a slimlite double glazed unit will work. The most environmentally friendly way to double glaze will be to rebate deeper to allow for a double glazed unit in place of the original single glazing then draught proof existing sash windows completely re-using existing joinery. This is a brilliant way of upgrading traditional sash windows whilst having little to no effect on the appearance of the sashes. Pictured is exactly the result once rebated. This is what a sash with with a double glazed unit installed will look like. A double glazed unit need not be hideous. They can be built to be completely in keeping with the original property. It takes a skilled tradesman with sympathetic restoration, but it can be done. Installing a double glazed unit into the original sash removes the need for entire replacement and actually makes the whole process quite affordable. Some sashes are not capable of carrying the double glazed unit and the service would need to be checked by a professional before being considered as an energy saving option. Once windows are fully draught proof or double glazed then the next step is selection of blind or curtain. Blinds are more attractive to some, however traditional thick curtains provide a far more energy sustainable solution. They do a great job of keeping the temperature of the room comfortable.